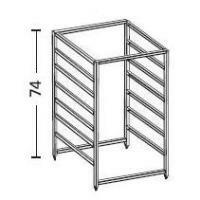 44cm high elfa frame with 4 runners and able to take 4 x shallow baskets OR 2 x medium or 1 x deep with 1 x shallow etc. 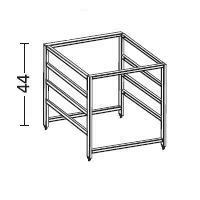 74cm high elfa frame with 7 runners and able to take 3 x medium and 1 x shallow basket configuration OR perhaps 2 x deep and 1 x shallow etc. 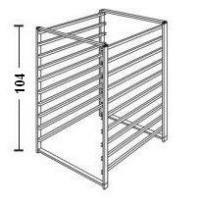 104cm high elfa frame with 10 runners able to take 5 x medium baskets OR 3 x deep and 1 x shallow OR perhaps 10 x shallow etc.